Battery Sony Ericsson BST-43 1000 mAh Li-ion bulk. .. 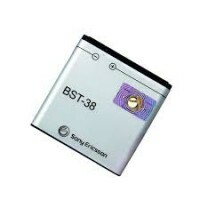 Battery Sony Εricsson BST-39 with capacity 920 mAh Li-Polymer without packing. .. Battery Sony Εricsson EP500 with capacity 1160 mAh without packing for Sony Ericsson Vivaz & Vi..